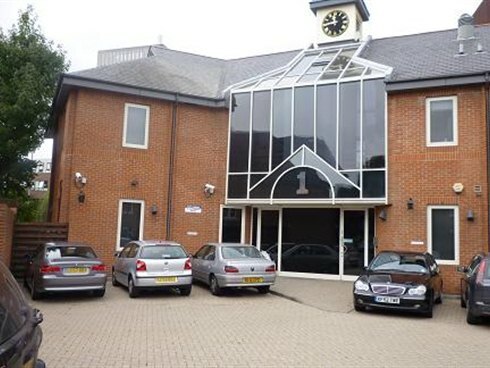 The premises comprise the entire first floor of this prestigious two storey office building. 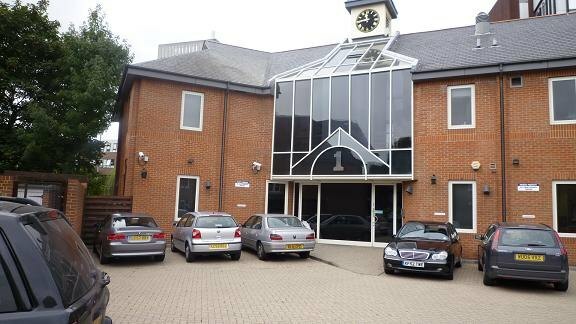 The offices are fitted out to a very high standard with quality full height glazed partitioned offices, boardroom, fitted kitchen, dedicated toilets, shower, raised floors and VAV air conditioning throughout. There is a dedicated car park to the rear of the building and ground floor server room. 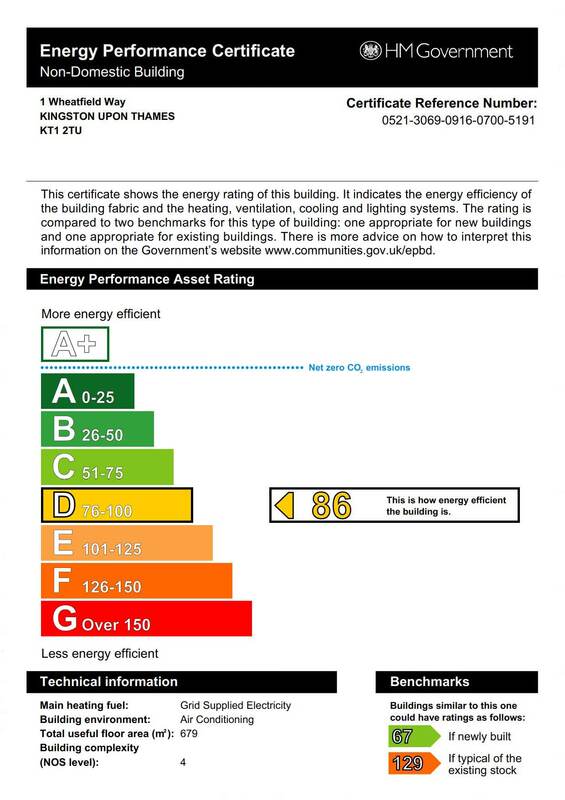 The building is prominently located overlooking the junction of Wheatfield Way, Penrhyn Road and Kingston Hall Road, within 200 yards of the town centre. Kingston mainline station is within 5 minute walk offering a frequent service to London Waterloo (approx journey time 30 minutes). The town centre offers unrivalled shopping facilities and an excellent selection of restaurants, many located adjacent to the river Thames. The A3 Kingston by-pass is within 3 miles of the property, offering a direct route to central London and junction 10 of the M25. The floor is held on a full repairing lease expiring on the 25th April 2015 and is available by way of an assignment. Alternatively, a new longer term lease may be available by separate negotiation with the landlord on terms to be agreed.